Организирахме три дни концерти и ди-джей партита в Пловдив през август @ клуб Fargo в подкрепа на нашия формат Electric Orpheus. Гостуваха ни артисти от Германия, Франция, Япония, Холандия, Дания и България. We did a free party for three days with bands and dj’s in Plovdiv @ club Fargo to support Electric Orpheus. Great line up and great fun with ultra cool artists. Thanks to all! Мartin / Martin Iliev / is a DJ from Plovdiv, Bulgaria and his favorite music is the new electronic and dance music. He selects for LMEY radio and also for Artnewscafe. fumus & nebula are a live act from Lüneburg, Germany. Their solid affection for gear always leads to mindblowing battles between them and their machines. 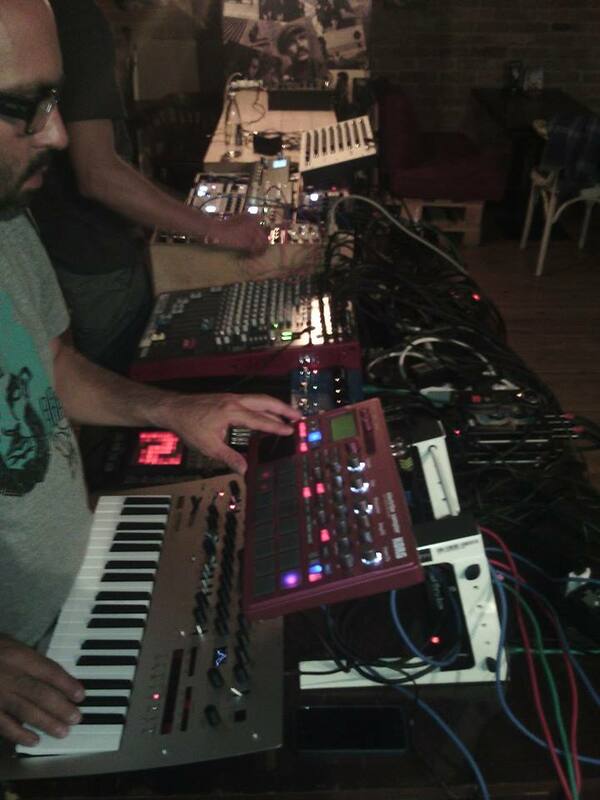 Live navigation through electro, house, techno and ambient. Pikebass / Nikolay Pikebass / is a DJ from Plovdiv that spins vinyls and creates solid grooves. From house and techno to more obscure beats and soundscapes. Nearly dog / Alex Karavalev / will take us back in time with his DJ set on a trip to the roots of musical joy. He will mix the freedom, pure happiness and greatness of Orpheus with the Odysseus’s lust for adventure. Interstellar character Purita D, has been playing to the crowd for quite some time now, and is known with her DJ-ing, for her uncompromising, funky and sexual loaded groove. Expect a pumping ride that will empower your pride…She doesn’t wanna be a freak, but just can’t help herself. kai_fx / Kai Kaselow / discovered his love for electronic music in 1997 and this remains true with growing enthusiasm until today. His sound is deep and his driving minimal house set gives its own signature. Since 2005 kai_fx is a club operator and resident DJ in Klangkulisse club in Jesendorf, Germany. Xraydio – the free one stop shop for raw sweaty high octane rock’n’roll. And much much more. XRaydio is the illegitimate love child of Zac Kuzmanov aka Jonny Fiasco of Black Moses/ Ultra Grand Supreme fame. Ilko Birov will perform live and acoustic his new material with Konstantin Kuchev on violin. Nixxon / Nikolaj Birgens / is a Copenhagen based DJ and musician who is a heavy record digger. Recently he’s been travelling around a lot to play in some of the most exciting spaces in Europe. He had releases on Mond Musik, Musicsystem and his own label Cytown Records and has an upcoming release on Macadam Mambo. He ran a club called Disco Vendetta in Copenhagen, which has definitely shaped the Danish club culture for many years. It later turned into a radio show called Radio Vendetta. Sacha Mambo: As a DJ who expresses and exercises his freedom Sacha Mambo goes many places, touching on many genres, telling endless stories. For him, knowing music doesn’t mean specializing in one particular style, far from this. Proof made with Macadam Mambo imprint he co-runs alongside Guillaume des Bois. For the past two years, he has been a resident at Le Sucre in Lyon (FR) , where he’s earmarked his very peculiar style by playing Afro, Disco, Acid, Techno, Rock or Industrial sounds.